Mainstream ‘wisdom’ has taught us to fear sun exposure. Yet it’s actually one of the most important things to include in your fertility regimen. Keeping your Vitamin D at adequate levels touches on virtually every aspect of fertility. Hiding away from the sun is about as wise as trying to hide from life itself. Likewise, we advise against using commercial sunscreen. It seems to be a good idea, until you understand its true effects. It blocks this very healthy and important process, where you skin converts cholesterol to Vitamin D. Not to mention all the toxic ingredients in sunscreen, which get absorbed into your bloodstream. They disrupt hormones, and cause other health problems. If you’re not in the habit of regular sun exposure, you should build up slowly. 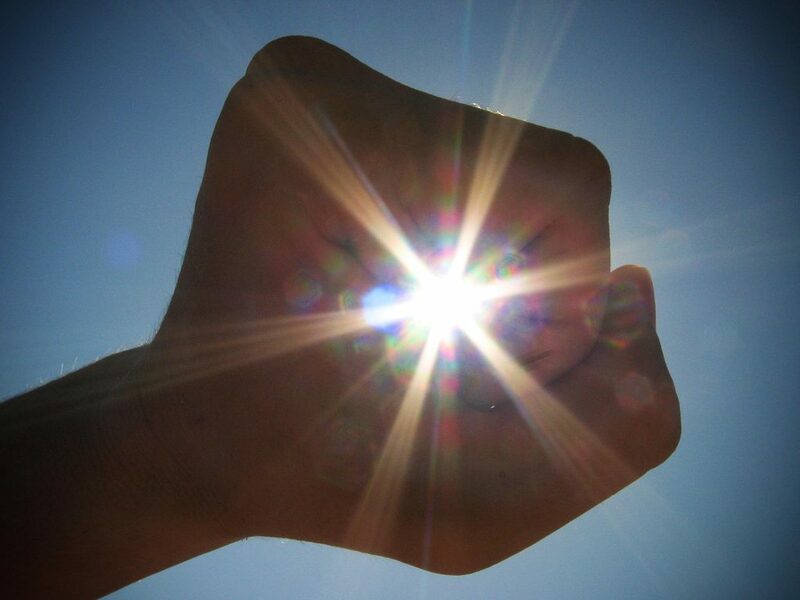 Your ability to absorb sunlight will increase over time. It will also increase along with your general level of health. Everything you do for your health in your fertility plan will increase your ability to take in the sun. It’s no accident that pregnant women are seen as being “radiant”. It’s healthy to take in sunlight, and likewise, a healthy person “radiates” life energy outward. A common homeopathic remedy that we use for infertility is Natrum Muriaticum. Typically, the Nat-m patient will present at least one major unresolved grief event in their history. One of the characteristics of this state is “inability to let go”. Similarly, the Nat-M patient has difficulty “taking things in”. Their skin is hypersensitive to the sun, and their eyes find natural sunlight too bright. Removing this blockage from their cellular memory allows them once again to enjoy the health benefits of the sun. All this to say, is that there are many individual factors governing your health, and the level of sun exposure you can properly metabolize. Work at it regularly, until having daily sun exposure becomes the norm for you. Expose as much of your skin as you’re able for at least 10 — 20 minutes per day year round. Aim for steady, frequent, and short exposures to the sun year-round. Avoid the pattern of sudden blasts on weekends or holidays. If you live in a wintery climate, find a windless spot to sunbathe. Shed as much clothing as you can (i.e. at least your hands and face) and sunbathe as long as you’re comfortable. Choose the gentler sunbeams of the morning. Avoid the intense heat of high noon and early afternoon. DON’T use sunscreen. You want your general level of health to protect you, instead. Increase your sun exposure time according to your current level of health. Sunscreen blocks the essential production of vitamin D. It also contains toxic ingredients which disrupt hormone function. Sunscreen is actually one of the big culprits in skin cancer. Instead of sunscreen, use light clothing to protect yourself (sunhats, long-sleeves, etc.). Common sense goes a long way. You can apply coconut oil or aloe vera gel as better alternatives to sunscreen. If you live near forest or vegetation, spend at least some of your sun exposure time there. “Organic light” (i.e. filtered through plants and vegetation) is easier to absorb. “Mineral light” (which comes directly from the sun to you) takes more work to process and absorb. 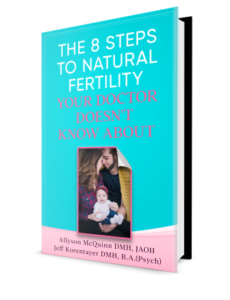 This topic is further expanded in Step 7 of The 8 Steps to Natural Fertility Your Doctor Doesn’t Know About.